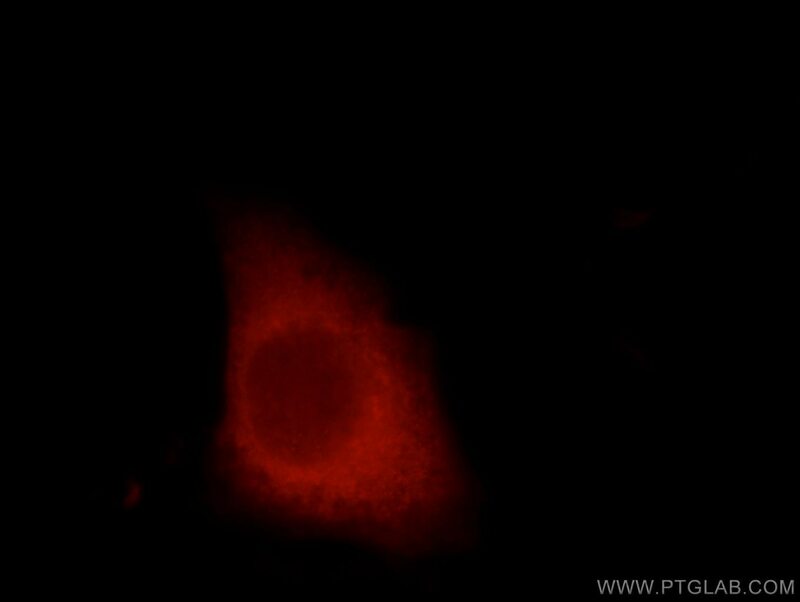 Immunofluorescent analysis of HepG2 cells, using ARHGEF12 antibody 22441-1-AP at 1:50 dilution and Rhodamine-labeled goat anti-rabbit IgG (red). 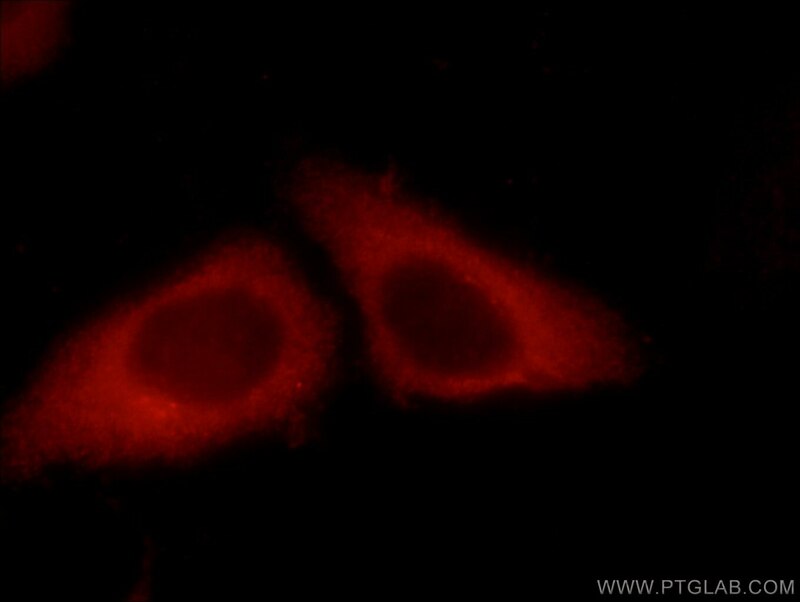 LARG, also known as ARHGEF12, is one of three regulator of G protein signalling (RGS) domain-containing RhoGEFs. LARG activates the ROCK pathway downstream of Gα12/13 signaling, leading to cytoskeletal reorganisation.LARG performs this activity either as a homodimer or as a heterodimer with Arhgef11. 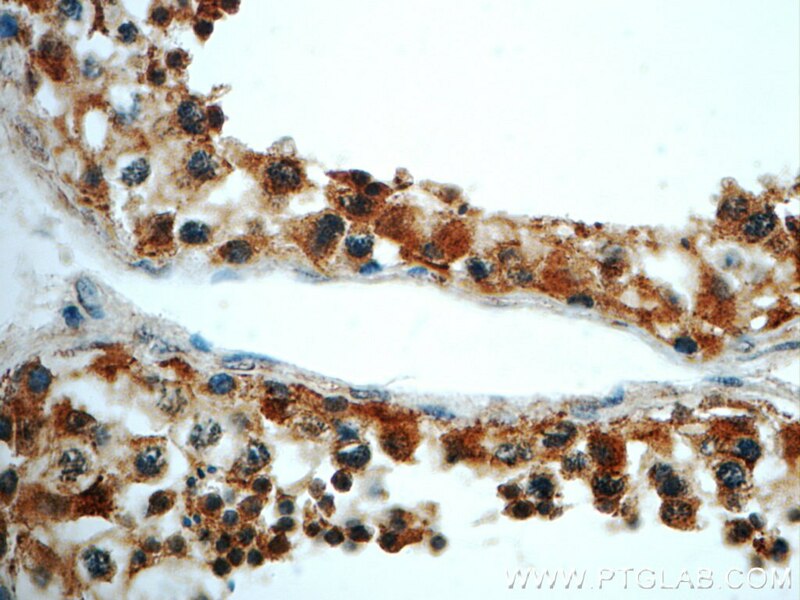 LARG has been implicated in many diseases, including cancer, heart disease, and in HIV viral replication. LARG is phosphorylated and dephosphorylated during mitosis and that Cdk1 is the mitotic kinase responsible for LARG phosphorylation. 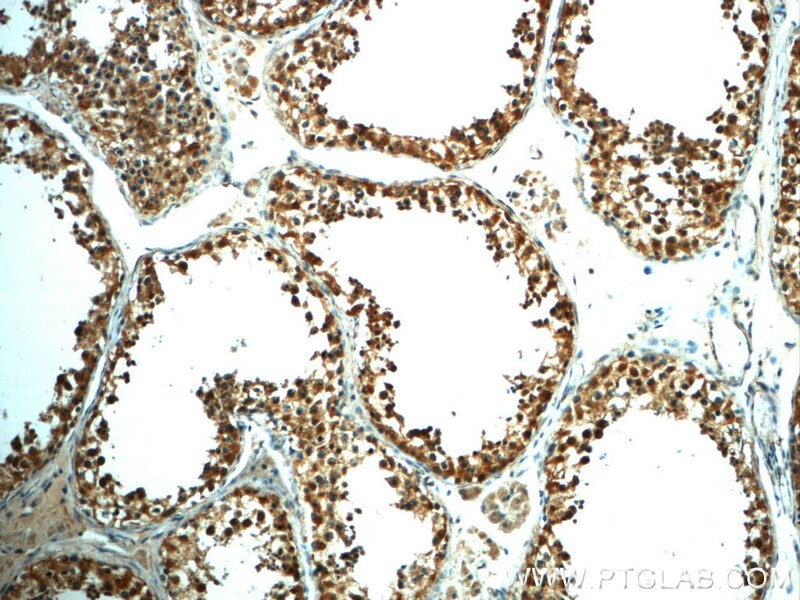 We got 220 kDa in western blotting, maybe due to its phosphorylation. RSK2 drives cell motility by serine phosphorylation of LARG and activation of Rho GTPases.